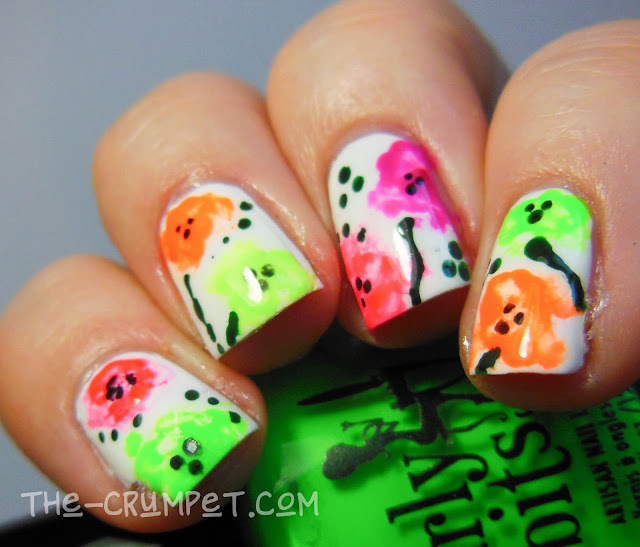 And welcome to day 2 of DD Week and our neon theme. Today's mani was the last I did for this theme, and it's actually my favourite. 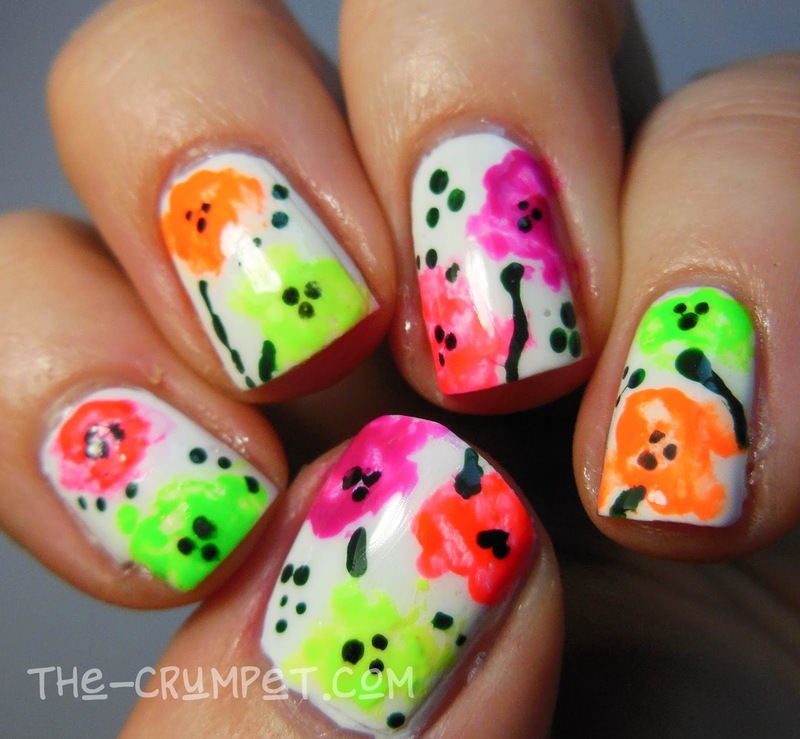 I had all sorts of manis planned, but never got round to doing most of them, so be prepared for neons to continue over the next few weeks. 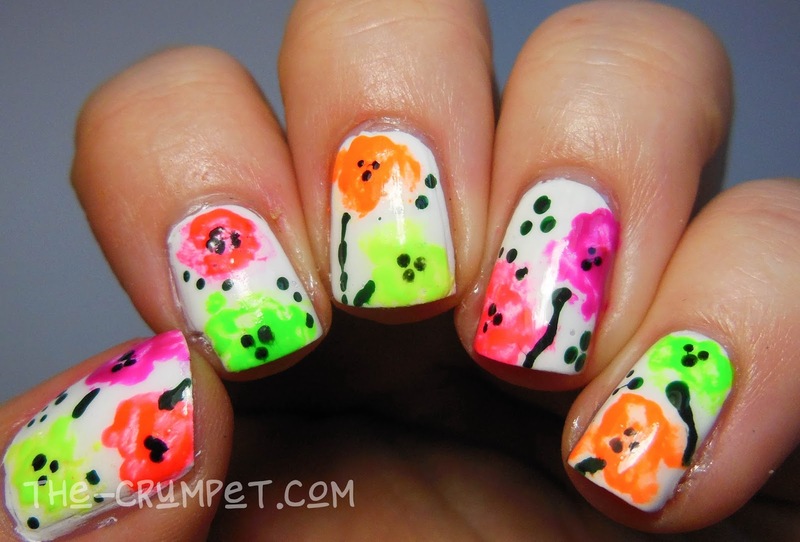 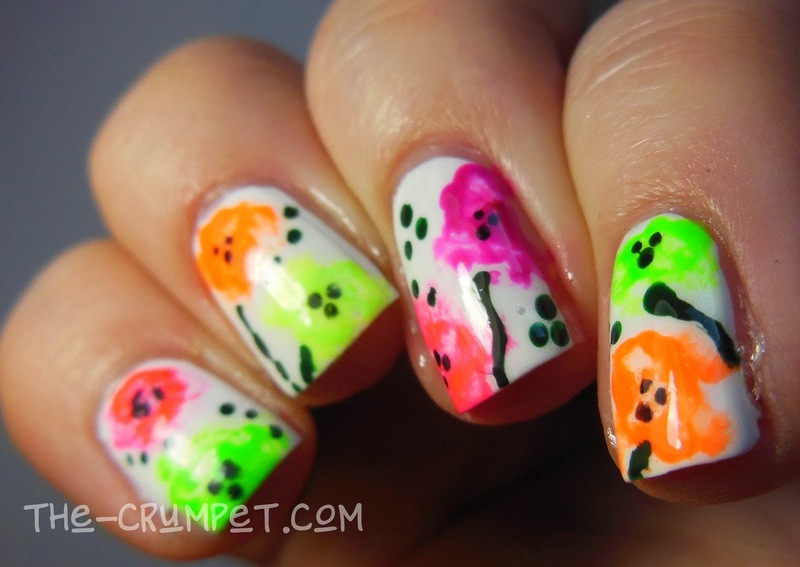 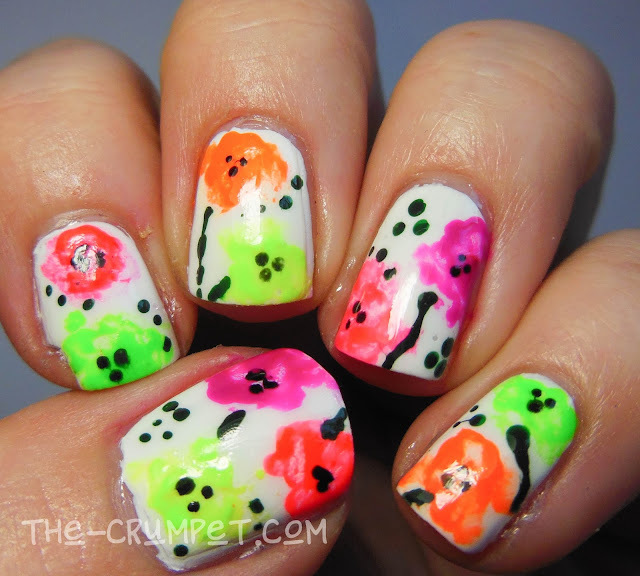 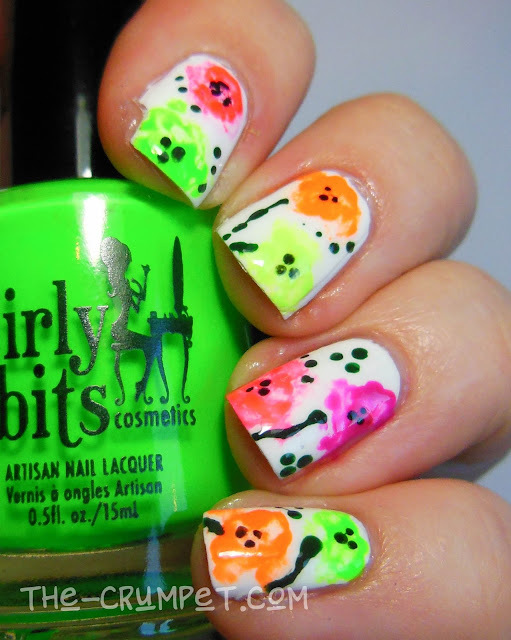 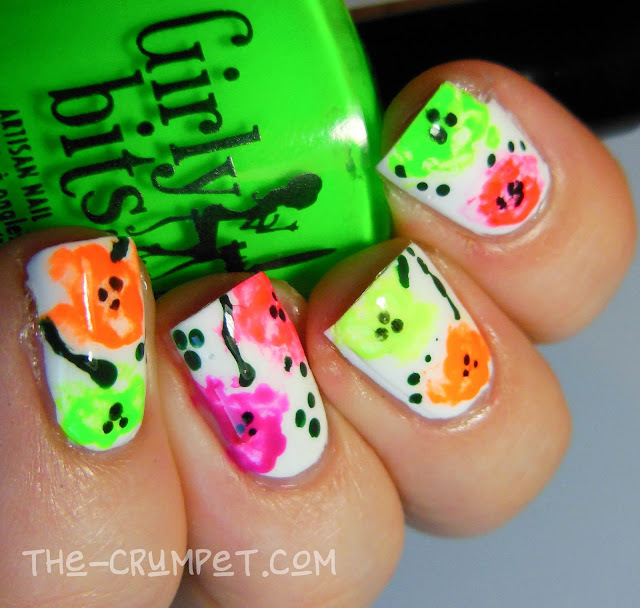 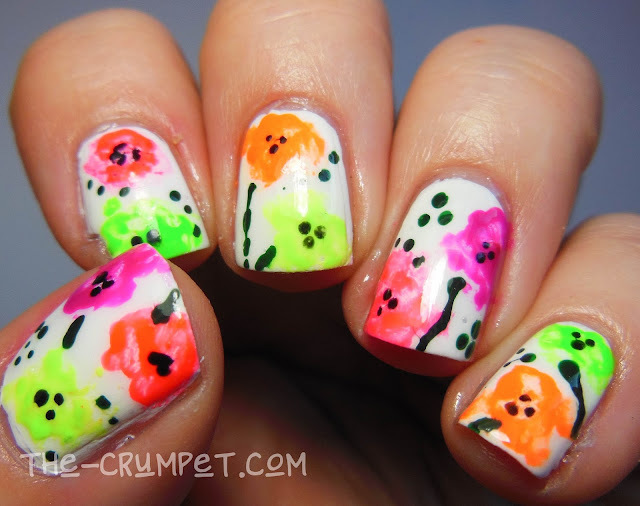 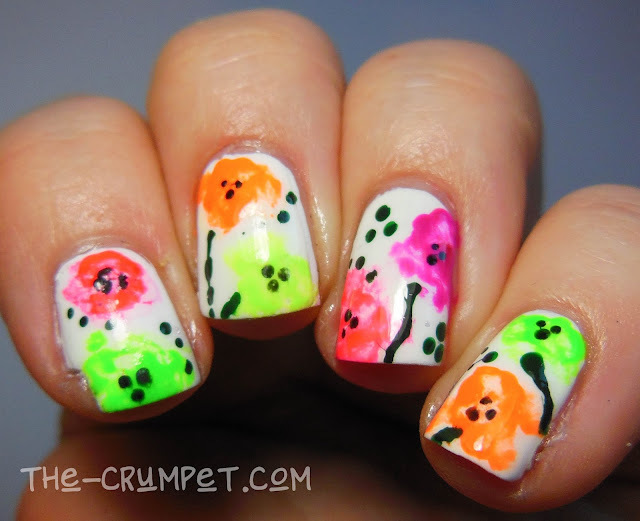 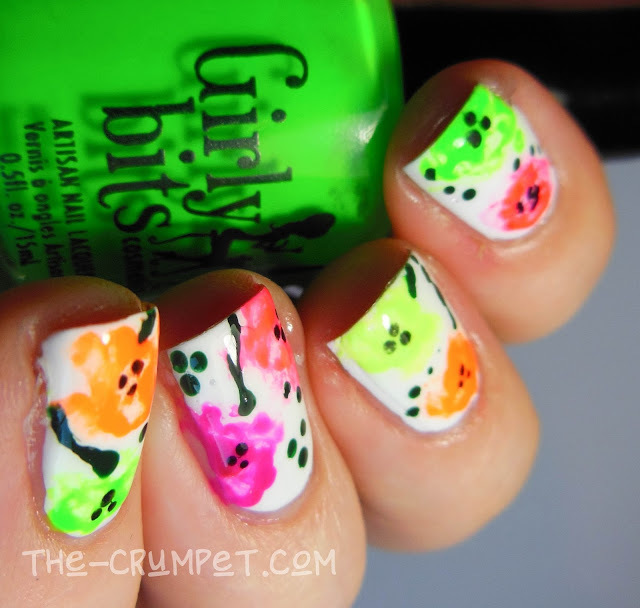 Today's mani again uses loads of neons from the Girly Bits Hoop! 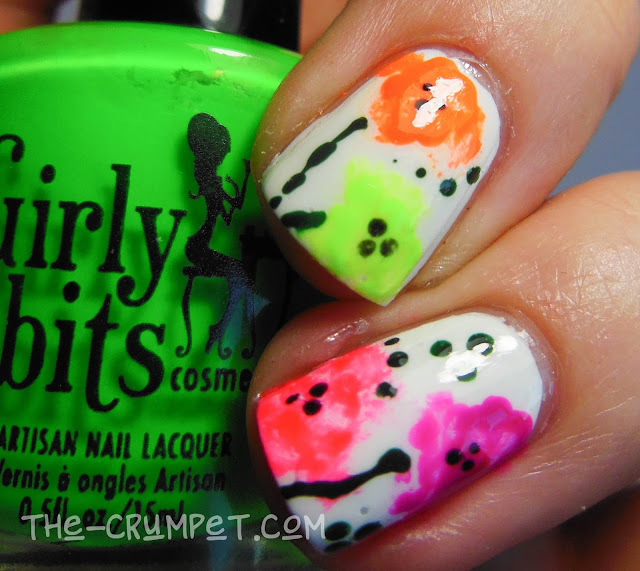 There It Is Collection, as well as a few extra dots of dark green polish to create stems and dots. This is basically a watercolour or jellyfish mani. 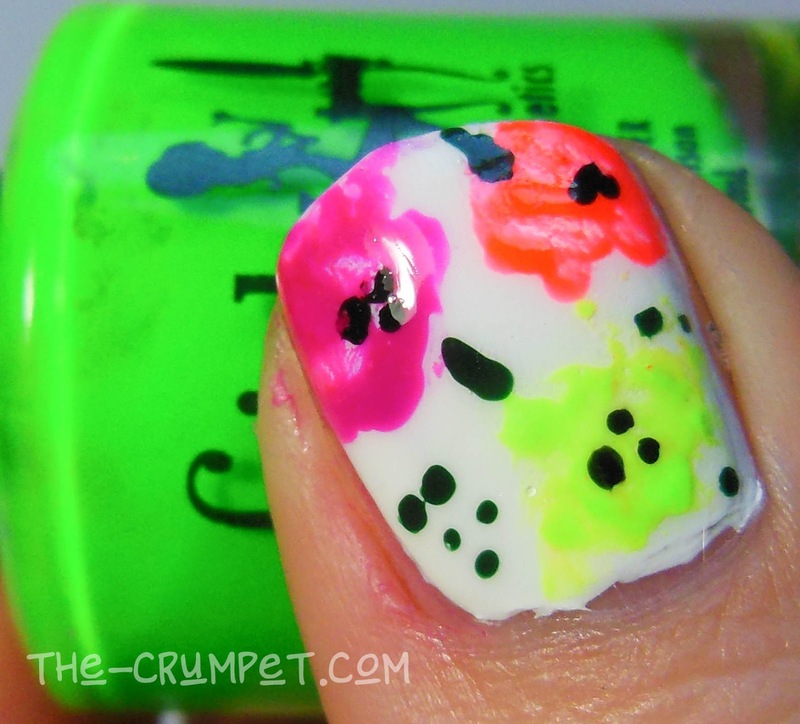 A few dots of colour, add some acetone, and allow to puddle (feel free to help it create the shape you want with the brush you used for the acetone). Just a tip here - I found I needed to use a lot more polish than usual to get the right effect here, which I assume has to do with the different composition of neons. 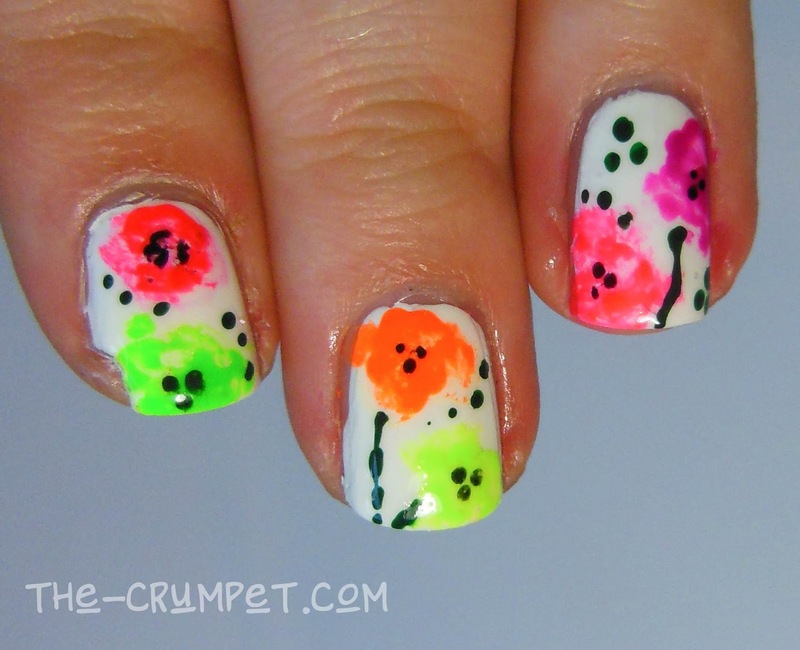 No big deal, but you do need a few clustered dots of colour, rather than just one.